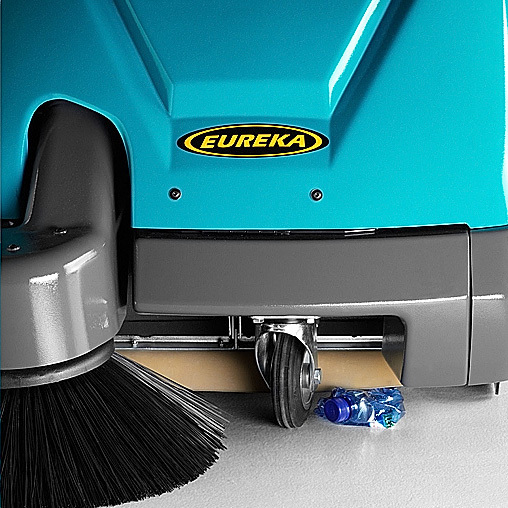 The impressive manageability and minimal overall size, make the Kobra walk-behind vacuum sweeper ideal for the efficient sweeping of small and medium size areas. 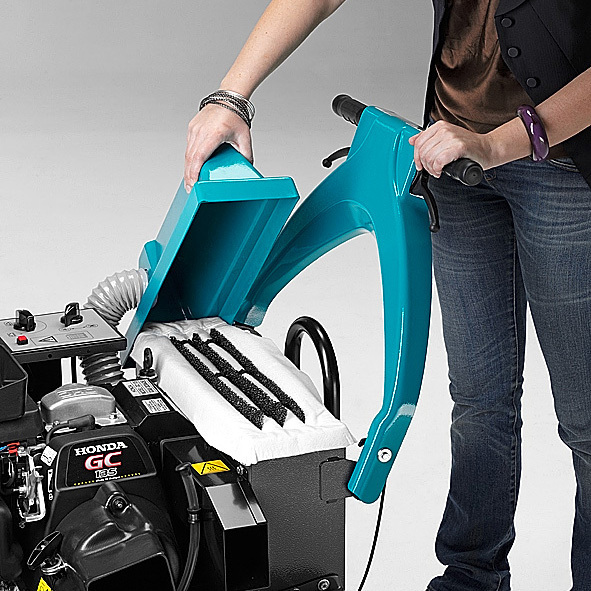 WHICH MODELS ARE AVAILABLE FOR THE KOBRA SWEEPER? The Kobra walk behind sweeper is available either EB (battery powered) or SH (Honda petrol engine). WHAT IS THE FRONT FLAP LIFT DEVICE? 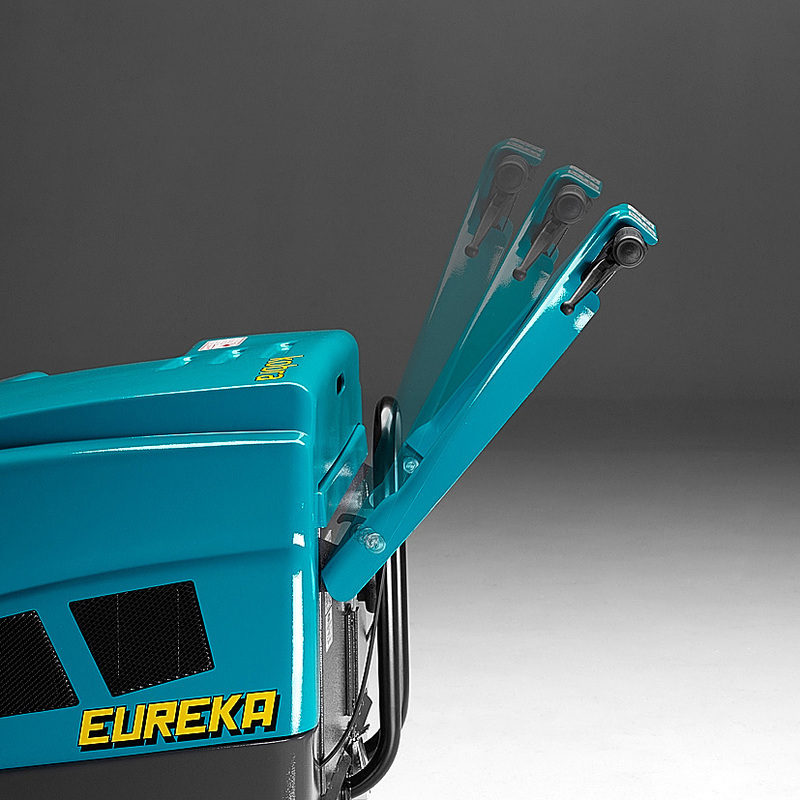 The Kobra walk behind sweeper has a flap located at the front of the sweeper, which can be simply lifted by squeezing a trigger on the handle, this allows for pick up of bulky debris. HOW TO ADJUST THE HANDLEBARS? The handle is adjustable for improved working comfort and greater maneuverability, as it can be adapted to the height of the operator. HOW IS POSSIBLE TO INSTALL TWO BATTERIES? It is possible to install two batteries with the suitable kit. However if much more power and running time is needed it would be advisable to select a higher productivity model such as the Tigra. CAN I SWEEP WHEN THE SURFACE IS WET? 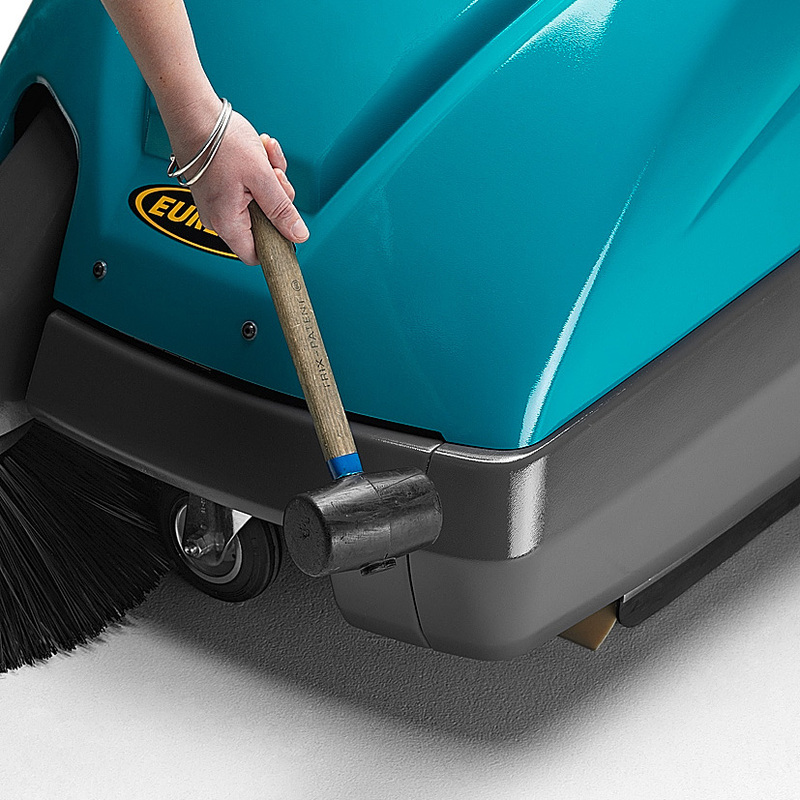 All sweepers are designed for dry and dusty surfaces. If the surface is wet is possible to protect the vacuum motor and the filter using the vacuum motor cut off feature located on the multi-function display. 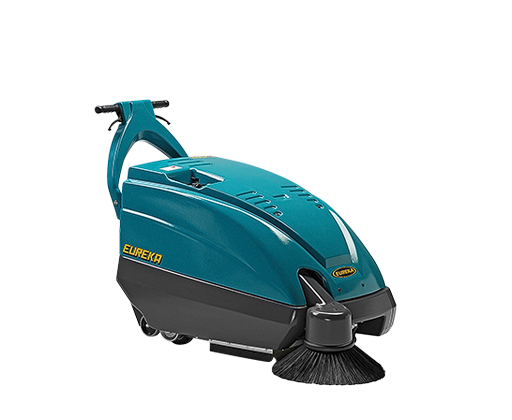 The Kobra has a main brush of 550 mm, a total sweeping path of 780 mm, and boasts a working capacity close to 3.510 m2/h. The Kobra’s main brush, made of PPL plastics, allows for thorough cleaning of even the dustiest floors and narrow areas. 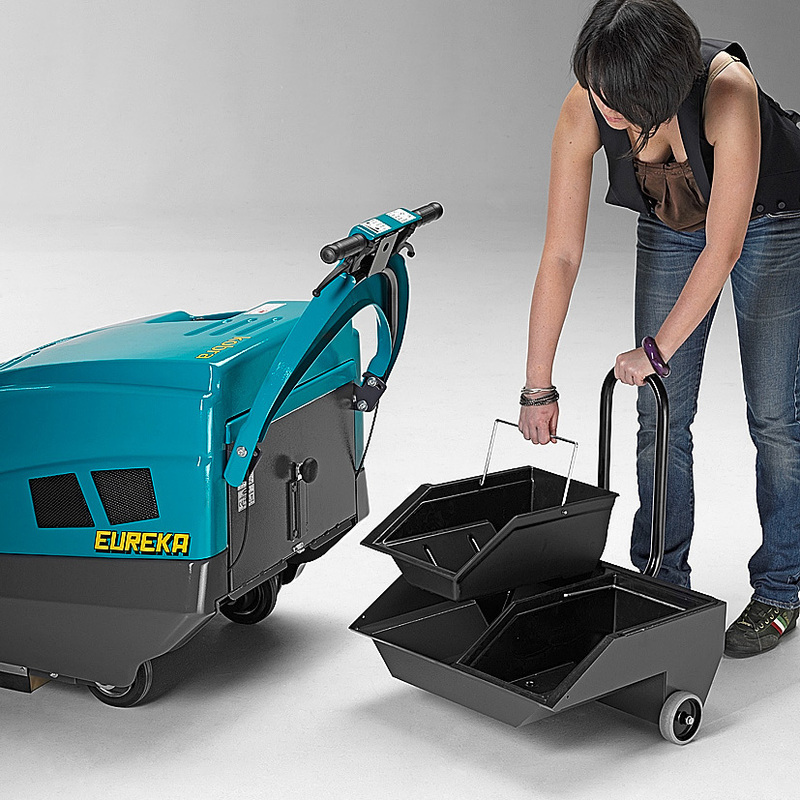 The Kobra is equipped with a capacious rear dust collector and an ultra efficient polyester bag filter which ensures effectively dust free (99,9%) sweeping, with maximum filter life and minimal maintenance. It is available either driven by a petrol engine (Honda) or battery powered. The electric version, which is extremely quiet and pollution free, is particularly suitable for indoor applications. The only thing you won’t believe is how much machine you get for so little money. The body of the machine is made-up with a special anti-shock material to protect the Kobra from unwanted damage. The large capacity rear container means minimum time lost emptying. 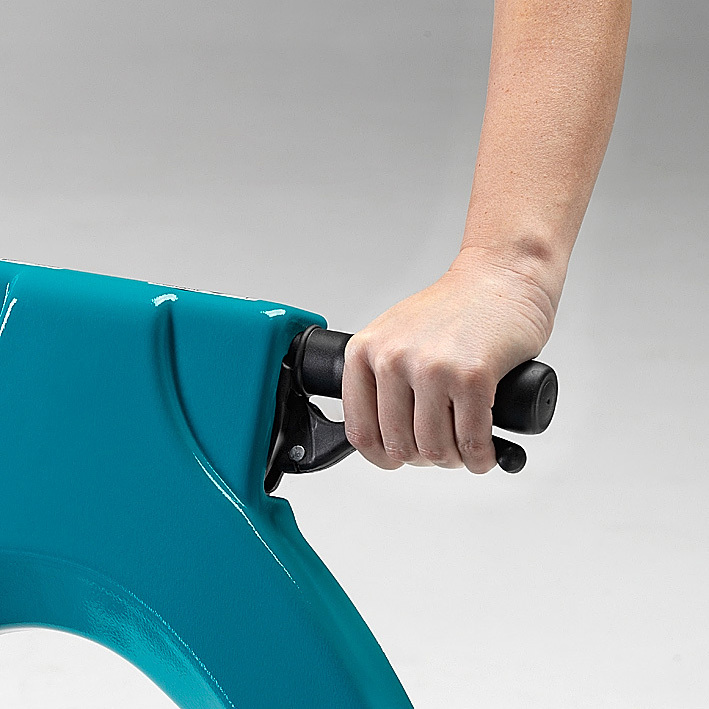 It is mounted on wheels, and it’s equipped with a comfortable handle to allow for easier emptying. 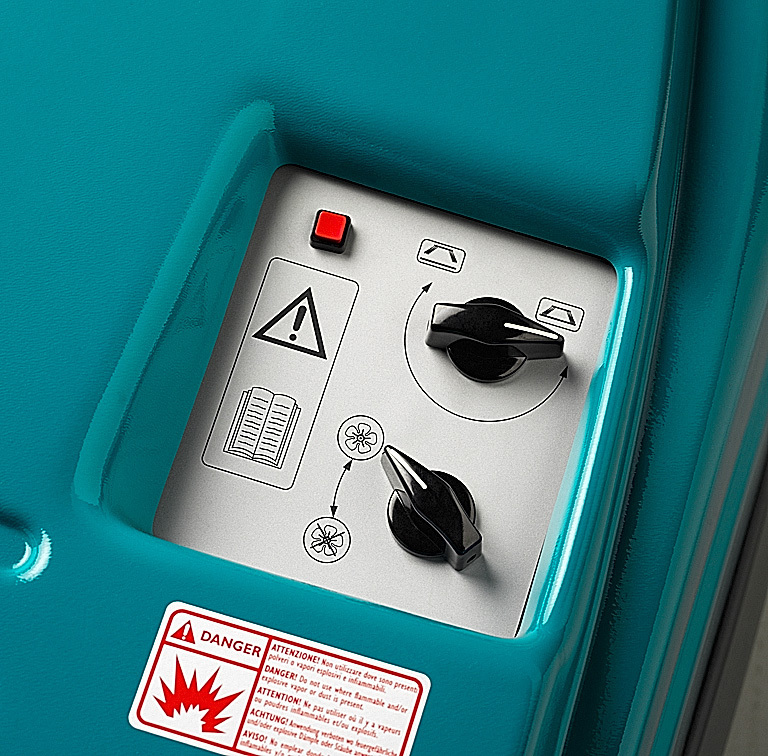 The machine is equipped with a front flap lift device to allow for easier pick up of bulky debris. The main and side brush can be quickly replaced. The Kobra dashboard, located on the hood, is very ergonomic and intuitive and it includes: vacuum cut-off device, side brush raising\lowering device and key switch. The adjustable handle allows for improved working comfort and greater maneuverability, as it can be easily adapted to the height of the operator. 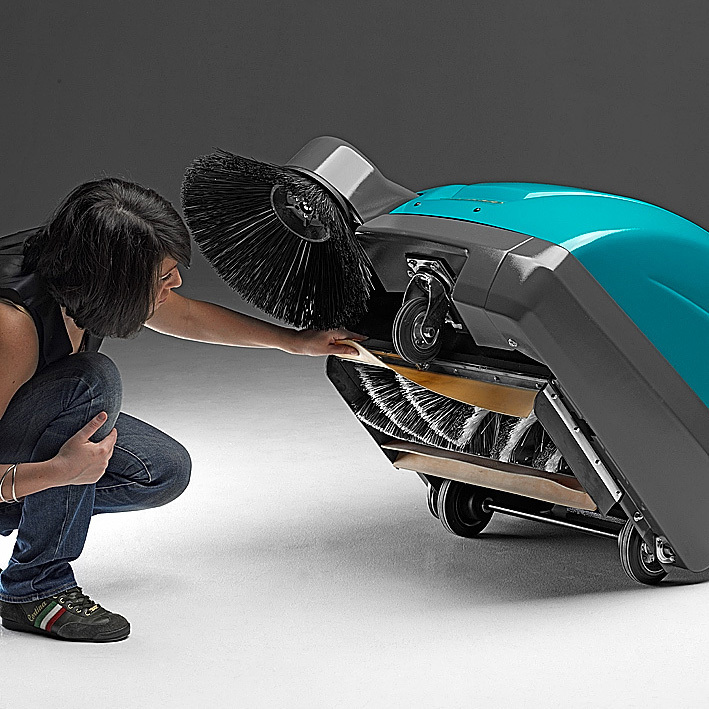 The Kobra walk behind sweeper is available in either EB (battery powered) or SH (Honda petrol engine) versions. Fine dust is filtered through a polyester bag filter, which allows for an excellent filteration rate (99,9%). It has a much longer lasting life than traditional filters and can be cleaned thanks to an efficient mechanical shaker. FIELDS OF APPLICATION : Industrial sites, communities and vicinities, schools, offices, religious buildings, hospitals, public buildings, airports, ports, shopping malls, logistical depots, cleaning companies, and multi services.